We recently met some friends for dinner in the town where they live. We went to dinner at Towne House Restaurant at Wine & Roses in Lodi, CA. It wan unexpectedly sophisticated location and delicious dinner. 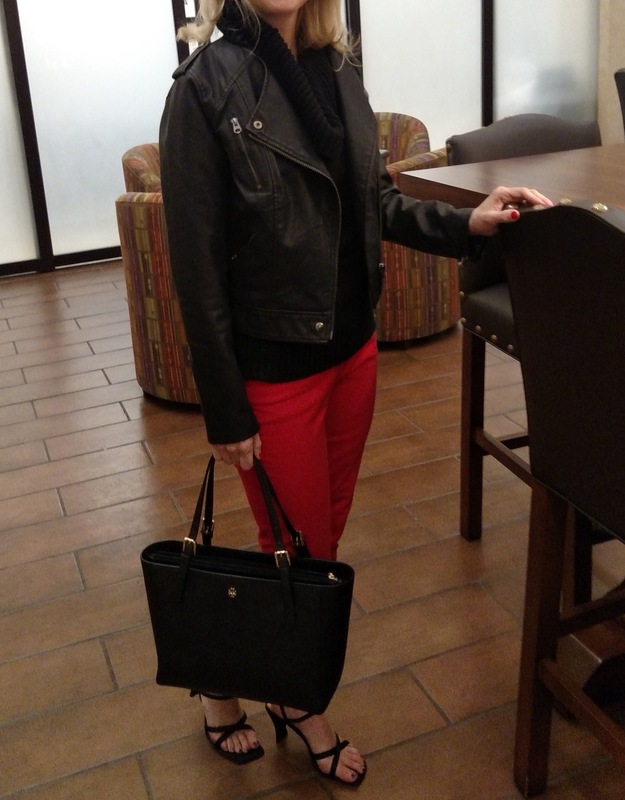 I wore my favorite Stitch Fix jeans (red!) and a sleeveless sweater, and then added a little bit of edge with my Top Shop moto jacket. The menu at Towne House is varied enough, that for dinner, we all had had something different, and everyone was satisfied with their meal. 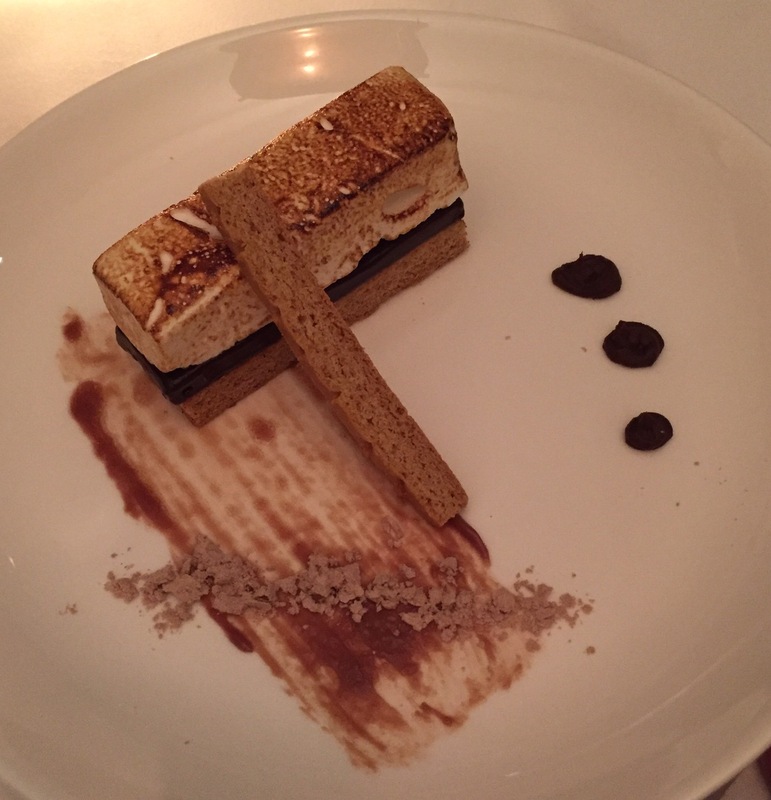 Then for dessert, we shared this variation on a s’more. Delicious. By the time we were done eating and chatting, none of us could believe that three hours had flown by. 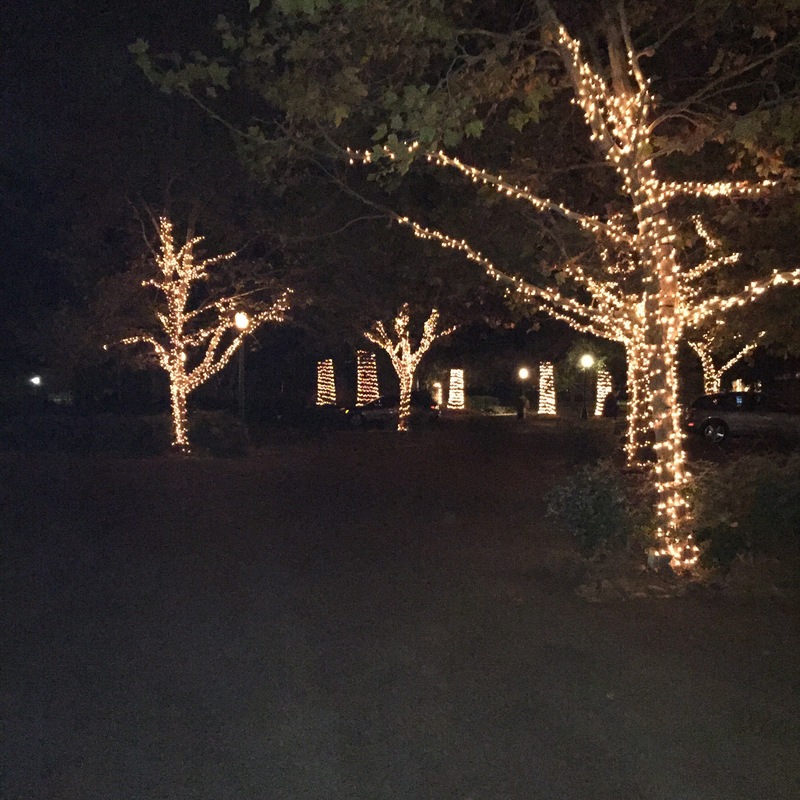 On our way back out to the car, we were met with the trees lit along the walkway, which was beautiful and enchanting. After our fun dinner, we had to go back and get some rest for the big day ahead we had planned.